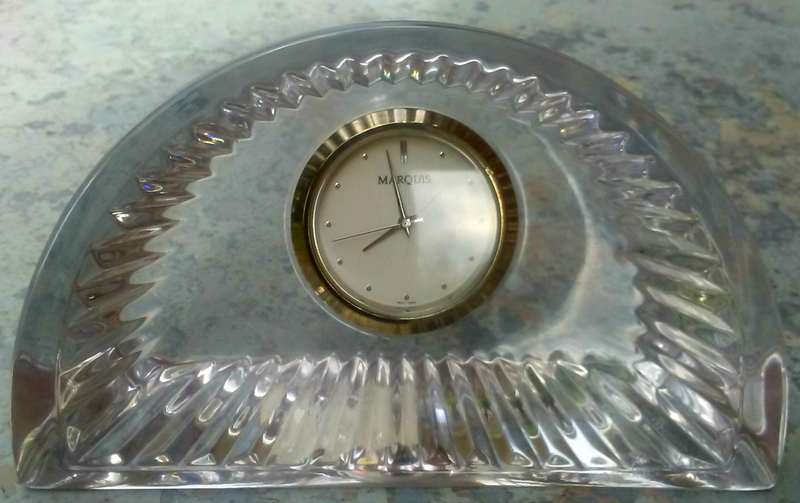 This is a beautiful Marquis Waterford desk clock. It measures 2 3/4 inches tall by 4 1/2 inches wide. The clock was purchased from an estate and as far as I know never has been used. It still has the manufacturer sticker attached. I have never dismantled it to change the battery on this to get it ticking.